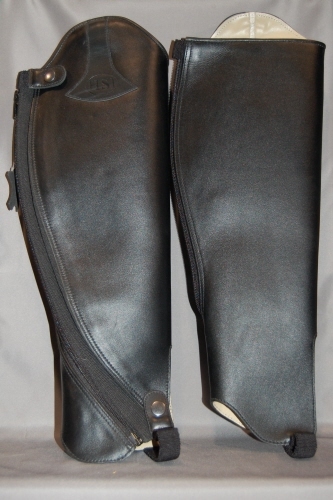 H.S.I's Modern Curved Side Zip Gaiter is more tailored, mirroring that of a long riding boot, but with a much closer fit to the horse riders leg. This gives more accuracy and extra grip when ridden. Features: Curvature Side Zipper "YKK" on elastic support for a perfect calf adjustment, hidden under leather flap with Snap closure. 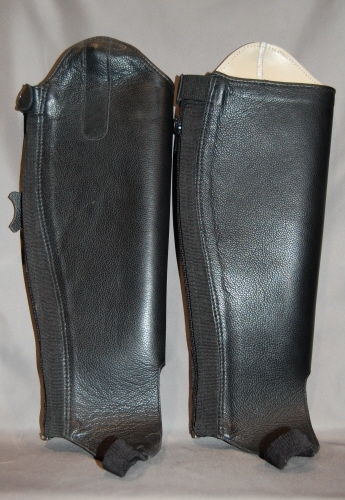 Convert your jodhpurs boots into stylish long boots using H.S.I's leather Gaiters. 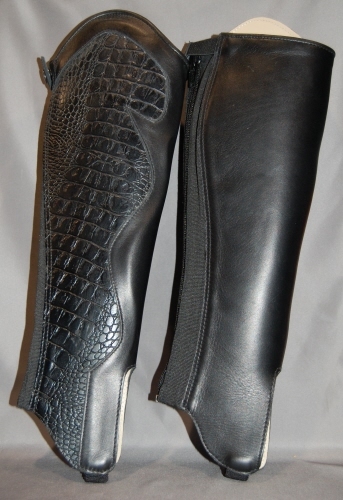 Made from high quality leather with full leather lining, these gaiters feature an Alligator 'Pattern" Embossed. 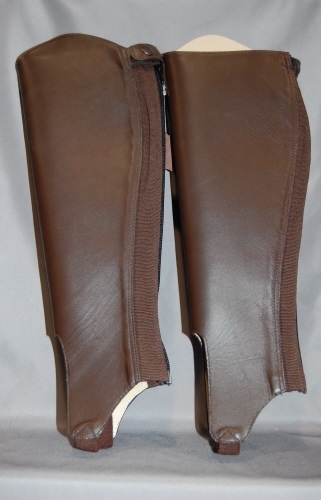 H.S.I Gaiters design is more tailored, mirroring that of a long riding boot, but with a much closer fit to the horse riders leg. This gives more accuracy and extra grip when ridden. Zipper "YKK" on elastic support for a perfect calf adjustment, hidden under leather flap with Snap closure. 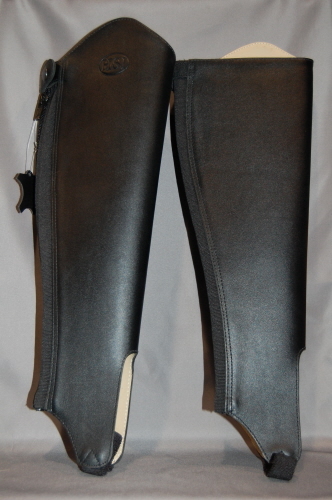 H.S.I's Chrome leather Black Gaiters are designed with a Spanish cut top line, premium YKK Back zippers and reinforced stitching, Made from premium leather and designed with a form fitted feel. An elastic stretch panel on the back allows for flexibility and movement while the reinforced closure at the top and double stitched elastic instep provides additional durability and support. 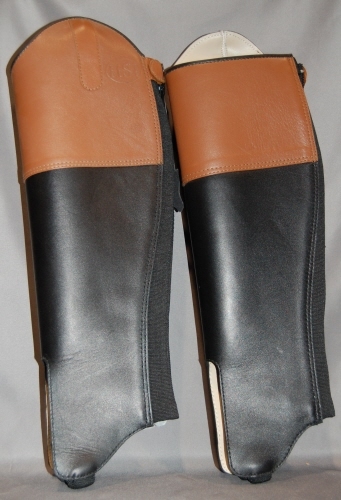 H.S.I's Chrome leather Brown Gaiters are designed with a Spanish cut top line, premium YKK Back zippers and reinforced stitching, Made from premium leather and designed with a form fitted feel. An elastic stretch panel on the back allows for flexibility and movement while the reinforced closure at the top and double stitched elastic instep provides additional durability and support. H.S.I's Grain leather Black Gaiters are designed with a Spanish cut top line, premium YKK Back zippers and reinforced stitching, Made from premium leather and designed with a form fitted feel. An elastic stretch panel on the back allows for flexibility and movement while the reinforced closure at the top and double stitched elastic instep provides additional durability and support.